David J. Socolow | Community Options, Inc.
Commissioner Smashes Barriers to Employment for People with Disabilities. 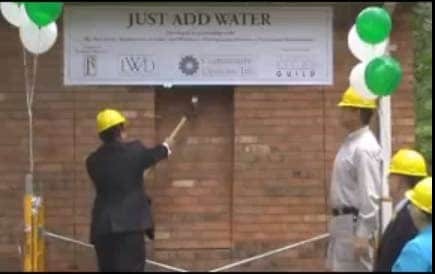 Community Options held the groundbreaking of its seventh entrepreneurial business, Just Add Water, on September 16, 2009. Just Add Water will be a café style tea shop with a conference training facility attached that will also offer catering for personal or business needs. With the generous support of the Department of Labor, this business will employ ten individuals with disabilities beginning in early 2010. “Partnering with the Department of Labor to open this entrepreneurial business is ostensible proof of the vision and leadership of Commissioner David Socolow and his team,” said Robert Stack, President and CEO of Community Options. “This will prove to be one of the greatest achievements for improving the lives of New Jerseyans with disabilities in the next decade,” added Stack. Just Add Water will not only provide job training to individuals with disabilities, it will foster their entrepreneurial spirit by providing additional trainings on creating, sustaining, and financing a small business. 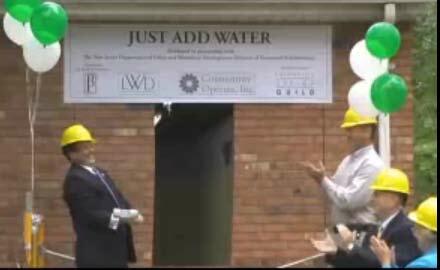 Individuals employed by Just Add Water will also be allowed to pursue ownership of the business through an innovative new program. “This is one of the most creative things we can do to ensure that people with disabilities have jobs,” Socolow said. The Men’s Wearhouse has partnered with Community Options through their National Suit Drive program to donate business suits to COI. The purpose is to obtain “gently-used” professional clothing to provide work-appropriate wardrobes to those looking to re-enter the work force. People can make donations at the Men’s Wearhouse locations in Vestal and Elmira, NY of any professional apparel from suits, dress shirts, sports coats, slacks, ties, and belts. 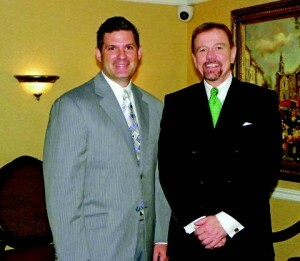 On October 2, 2009, the Mayor of Binghamton, Matthew Ryan, personally delivered a set of business clothing to the Binghamton COI office to celebrate this generous donation. A special segment aired on the Fox Forty News captured the event. “We are so grateful to have been chosen by Men’s Wearhouse to be a beneficiary of their National Suit Drive,” says Paul Weckel, Executive Director of Community Options. “Everyone can use a boost in this current business climate and feeling good about what you are wearing when you go on a job interview can make all the difference,” he added. The National Suit Drive has been a huge success and has been well received by the individuals we serve in the New York region. COI Binghamton received over forty suits which will continue to be distributed to those seeking new apparel for employment through the employment services we offer. Mayor McCartt delivering a speech while (from left to right) Chandy Davis, (ED Amarillo) Amarillo Chamber of Commerce volunteers in Red Blazers, Larry Offerdahl, (back row) Robert Stack,(CEO/Pres. COI) Don Boyd, City Commissioner, (front row) Quinton Barton, John Wise, Tonya Duck, Ruben Olivarez, and other Chamber of Commerce volunteers waited to cut the ribbon. Dorothy Goodwin started her new position as Executive Director of Community Options South Carolina on March 30, 2009. Since then, she has already opened one home and continues to explore opportunities to offer Supported Living Placement (SLP I) supports to individuals desiring to live in the Midlands area. Dorothy is a graduate of the University of South Carolina, where she earned her Bachelor’s of Science degree in Psychology. Furthermore, she also went on to graduate school at USC, studying Vocational Rehabilitation. Dorothy’s previous position was with the Babcock Center where she was an employee since 1980. Her multiple leadership roles included Director of Residential Services, Director of Special Projects and Quality Enhancement, and most recently, the Senior Director of Programs. Community Options is thrilled to have Dorothy as the Executive Director of South Carolina and is excited by the extensive experience and leadership skills she has gained from her previous employment and is utilizing at COI. The South Carolina program continues to grow and develop as an important service to individuals with disabilities. Currently, Dorothy provides residential services for a total of 34 individuals and is beginning to implement employment services. 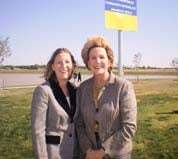 On Tuesday, September 29, 2009, Community Options Amarillo officially adopted the McDonald Lake Park. 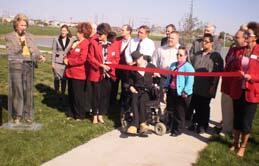 A ceremony was held at the park, which is located on 4901 Coulter Road in Amarillo. The adoption of the McDonald Lake Park by Community Options will prove to be a valuable resource to the community as the park will be maintained by the organization and kept litter free on a daily basis. Individuals with disabilities will gain valuable volunteering experience at the park, while providing a much-needed service to community members who use the site. By arranging and supporting this volunteerism, Community Options Amarillo will use the park as an opportunity to integrate people with disabilities into their community. In September, Community Options became the recipient of a prestigious one million dollar grant from the Administration on Developmental Disabilities, a branch of the Administration for Children and Families. COI will use 12 of our 26 offices to support families of children with disabilities to evaluate, promote, and provide national leadership training through a Family Web 2.0 project. Families will teach each other how to evaluate and operate training programs and how to engage in positive policy development to ensure ongoing support services. Family Web 2.0 means moving toward citizen-centric information, education, and resources that are truly usable and accessible. The project will be based on the spirit and energy of the award winning Partners in Policy Making program and will combine strong grass roots advocacy, national and state resources, and state of the art communication and social networking technology to identify, evaluate, develop, and disseminate training materials that meet the expressed needs of families. “This grant of national significance is the culmination of our team’s relentless efforts to improve the lives of children with disabilities and to empower families,” says Jessica Guberman, Executive Director of Community Options Enterprises. Community Options has already begun the initial steps to implement the project in New York, New Jersey, Pennsylvania, Connecticut, Tennessee, South Carolina, Kentucky, Texas, and New Mexico. Erik Erickson receives medal from Maralie Waterman-BeLonge. 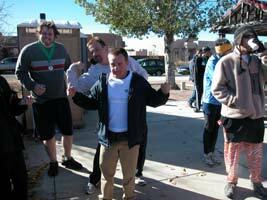 On October 31st, 2009 Community Options employees and residents of Santa Fe participated in our first “Goblin Dash” 5k run/walk. The event also brought out many local dignitaries including Santa Fe Mayor David Koss, representatives from Senator Jeff Bingaman’s and Senator Tom Udall’s offices and President and CEO of Community Options, Robert Stack. Keeping in the Halloween spirit, some participants dressed up in costumes, including a pumpkin and Tigger from Winnie the Pooh, as they competed. Many stated this 5k was well-timed, as the exercise helped to offset the Halloween candy they anticipated eating later in the day. COI of Santa Fe was established in 2004 to provide residential and employment services to residents in Northeastern New Mexico. The Santa Fe office led by Executive Director Maralie Waterman-BeLonge currently serves 43 individuals. “Many thanks to the staff, volunteers, consumers, families, and sponsors who worked to make the event possible,” says Maralie of the event. Opera singer Andre Solomon-Glover developed an international career singing a wide repertoire ranging from the roots of American song to opera, from Broadway to groundbreaking contemporary works. Mr. Solomon-Glover, whom critics have called “a remarkably communicative performer,” has made solo appearances in major halls throughout the United States and Europe; furthermore, he has also performed with renowned ensembles such as the Leipzig Gewandhaus and the Philadelphia Orchestra. Unfortunately, tragedy struck Andre in 2002, when he suffered a stroke that resulted in a traumatic brain injury. Since this injury, Andre has had very few performances, drastically limiting his public appearances and involvement in the music scene. All of that changed, however, at 8 pm on October 17, 2009, when Andre took the stage at the Kaufman Center’s Merkin Concert Hall in Manhattan. This performance was incredibly meaningful to Andre, as he gained back a piece of his life that was lost after the injury. Community Options takes great pride in Andre’s unbelievable story, as we have been providing him with support for the past two years. As part of our mission to provide assistance to people with traumatic brain injuries, COI has been helping Andre with various daily living skills in his own home, allowing him to regain control of his life after his injury. Impressively, Andre is also a recent graduate of RUSK Institute of Rehabilitation Medicine out of the New York University Langone Medical Center. 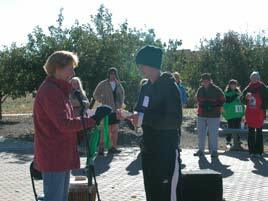 On February 13, 2010, Community Options will hold its annual Cupid’s Chase 5k Run/Walk. This year, we’re expanding the event to sixteen of our locations throughout the country. This national fundraiser will be held in major cities such as Manhattan, Binghamton, Syracuse, Pittsburgh, Nashville, Chattanooga, Cookeville, Columbia, Corpus Christi, San Antonio, Dallas, Hartford, Princeton, Albuquerque, Las Cruces, and Bowling Green. 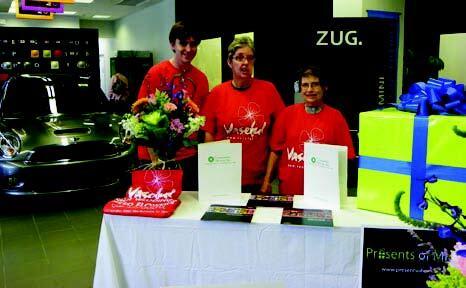 Last year, the organization held the Cupid’s Chase at Princeton University and had over 600 participants. “This year, we anticipate having over 1,000 participants at the new location at the Princeton Shopping Center and over 150 participants in each city throughout the country,” says Robert Stack, President and CEO of Community Options. This Valentine’s Day-themed event will feature a 5k certified course with an official timekeeper and group registration rates, entertainment and refreshments for runners and their family and friends, and raffles for romantic weekends and Valentine’s Day flowers. Although the race is competitive, participants will also be encouraged to enjoy the spirit of the event, and will be offered a choice to wear “available” or “not available” t-shirts. 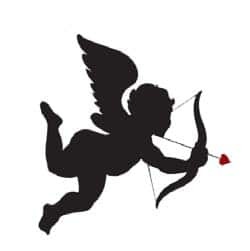 Furthermore, the Cupid’s Chase 5k will offer massages prior to and after the 5k by local massage therapists and chiropractors, along with prizes and other romantically themed giveaways to celebrate the day. Supporting People with Disabilities since 1989. 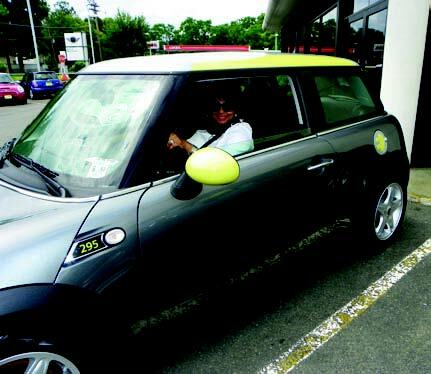 Community Options, Inc. is the recipient of 12 donated MINI Electric vehicles to utilize throughout New Jersey as part of a Field Trial for MINI of Morristown. Community Options will utilize the vehicles throughout their entrepreneurial business and group homes. The organization became more ecologically responsible back in 2007 when it started the process to go paperless throughout their operations in addition to utilizing green cleaning products in all of their group homes and businesses. “We are thrilled to receive this donation of 12 MINI Electric vehicles to utilize in a year long field trial,” says Stack. 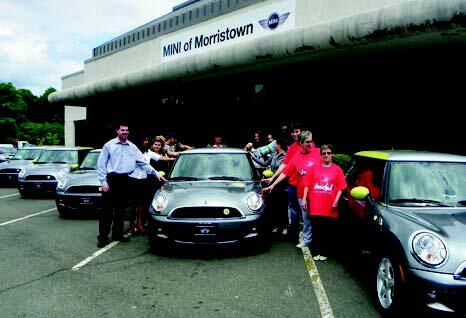 “MINI of Morristown has made a great decision in choosing our operation to operate these electric cars as we have the workforce that can put these vehicles to the test and it also demonstrates our organization’s commitment to sustaining the environment,” Stack added. Featured in photo left to right – Assemblyman Louis D. Greenwald & Robert Stack, President & CEO of Community Options, Inc. at the annual iMatter Conference. Community Options held its annual iMatter Conference on May 13th-15th, 2009. Topics included entrepreneurial business development, accessible housing, unique program development as well as employee hiring and retention. Community Options, Inc. was honored to facilitate this nationwide symposium to promote educational and workforce development opportunities for people with developmental disabilities. 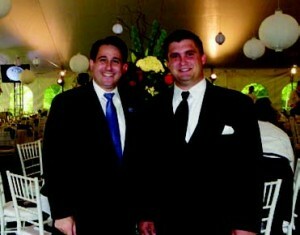 The keynote address was delivered by Assemblyman Greenwald (D-Camden). Not only was his speech inspirational, it motivated everyone in the room. Participants from across the country were in awe of his dedication to supporting people with disabilities in community settings. “Warehousing people with disabilities is a moral offense,” said Greenwald. Tara Loversidge, Region Director for Community Options Enterprises, Brooke Reynolds, Community Options Executive Director, New York City & Lindsay Aqulina visit Vaseful Flowers & Gifts. Community Options, Inc. of New York State is pleased to announce the appointment of Lindsay Aqulina to the NYS Board of Directors. Lindsay hails from Buffalo, New York and attended undergraduate college at Trinity College in Hartford,Connecticut where she earned her Bachelor of Science degree in Economics in 2004. Lindsay moved to New York City after graduation and is now employed at Bessemer Trust as an Assistant Vice President in the Client Account Management group She is currently attending New York University for her MBA and will graduate in May of 2010. At heart Lindsay is an entrepreneur. In 2004, she assisted a close friend in starting his own foundation that supports the advanced treatment for people with Traumatic Brain Injuries. “As soon as I met Lindsay I knew she would be a great addition to our Board of Directors,” says, Brooke Reynolds, Executive Director of the New York City operation. “Hearing how passionate she was about helping others and her stories with how she helped her friend with Traumatic Brain Injury to gain independence, made me see this was someone who could really make a difference,” added Reynolds. Lindsay will prove to serve as a valuable asset to the New York State operation and has dedicated herself to championing our cause and the people and families that we support throughout the state of New York. New Jersey Labor Commissioner David J. Socolow delivered the keynote address at our 20th Year Anniversary Gala held at the Historic Governor’s Mansion in Princeton, New Jersey. Presents of Mind, a Community Options Enterprise, employs adults with disabilities as retail associates in the store. These associates are given the opportunity to work with cross-trained employment specialists who have experience in both retail and job training. All of the functions of a typical business are incorporated into the training program at Presents of Mind, including sales, inventory, maintenance, and design. Further, Presents of Mind was recently granted a lifetime gold membership by the web-hosting company Volusion, to host their ECommerce website presentsofmind.org. Other sites hosted by this award-winning company have included Disney, the Obama campaign, and the Chicago Tribune. With this sophisticated ECommerce site further training opportunities now include processing and shipping of orders received through the website. The Presents of Mind sales associates are then able take what they learn, and work with Community Options Enterprises to secure jobs in the retail and service industries. What makes this a significant milestone for this local gift shop is the fact that in addition to selling unique gifts, they also provide a valuable service to the community. For more information please call 973-927-8500 or to shop online visit www.presentsofmind.org, or stop in the Mall at 206, on Rt. 206 South in Mount Olive, NJ. Community Options, Inc. of Nashville is celebrating their Executive Director, Hollie Campbell, who recently won the Nashville Business Journal’s 2009, Forty under 40 Award. For 10 years, Hollie has been advocating on the behalf of persons with disabilities to ensure their voices are heard and that their lives are enriched by positive community relationships. Hollie has been instrumental in departing people with disabilities who have lived in segregated state institutions for a majority of their lives. She has worked with numerous people to depart the Clover Bottom Developmental Center and has developed community-based supportive living and dynamic employment supports for people with developmental disabilities. The Board of Director’s of Community Options, Inc. also awarded Hollie with the Leadership Award in 2007 due to her many accomplishments. “The honor in our work is when a person with a disability moves into a new home that you have developed, when a new employment opportunity is offered, or a new meaningful relationship is started as a result of the work and the connections that you have made on behalf of that particular person, “ says, Hollie. “Hollie labors in silence and the fruits of that labor can be seen on the faces of the people that she is supporting everyday. Hollie is a dedicated leader and her enthusiasm is contagious, “says, Karen Hensley, Regional Vice President of Community Options of Tennessee. 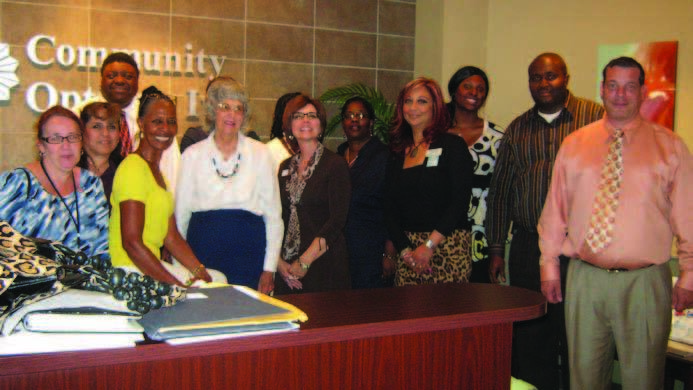 Featured in photo left to right – Annette Sweet- City of San Antonio, Eva Lopez, Medical Doctor Johnny Weddington, DARS Representative, Joyce Cantu, Lifetime Recovery, Billie Zimmerman, Owner/CEO of Zimmerman Real Estate, Stacia Rogers (unseen behind Zimmerman) District Attorney, Sherry Fincher, Bank of America, Lanee Collins (unseen behind Fincher) Employment Specialist, Marilyn Collins, City of San Antonio ( Municipal Court), Margaret Aiken, Wachovia Bank, Jennifer James- DARS Representative, Cyril Chuku, DARS Representative. 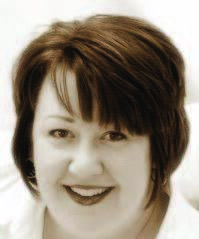 Alicia Fruin – Owner/CEO/Business Coach, (attended meeting via conference call). Community Options recruits local business leaders to advise our professional supported employment staff, forming the Community Options Business Advisory Councils (COBAC). COBACs also advise Community Options executive directors on local economic trends, establish and maintain corporate and civic connections, and raise funds for local programs. Council members provide expertise in identifying vendors, analyzing local labor markets, locating job opportunities, and developing business plans for micro-enterprises. To get involved, please call our national office or visit us on the web to find an office in your area. Thank you to all of our supporters who made our 20th Anniversary celebration a success. Robert Stack, President and CEO of Community Options has dedicated his life’s work to designing and implementing the most innovative entrepreneurial business models to train and employ people with disabilities. Robert has created three Daily Plan It Conference and Copy Centers in New Jersey, Vaseful Flowers and Gifts, the country’s only nonprofit flower shop and Presents of Mind, which is an upscale gift store also in New Jersey. “We believe in real pay for real work,” says, Stack. “The days of the sheltered workshop are over and Community Options provides real life job training so that people with disabilities may have the opportunity to build a portable skill set to take with them to more competitive employment,” added, Stack.